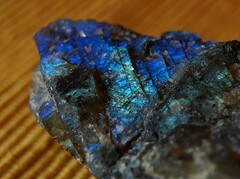 Labradorite is one of the most unique and fascinating gemstones used in jewelry designs today. Mysterious, beautiful, and so captivating, the stone fascinates us with the way it captures rainbows of colors which may only reveal themselves in particular light or in movement. Eskimo legend states that the Northern Lights were once imprisoned in the rocks along the coast of Labrador, and though mostly freed by a warrior, some of them remained trapped, giving us the beauty of Labradorite today. Once you find a piece of jewelry featuring this material that's just right for you, it may be difficult to imagine wearing anything else. On this page you can learn more about the stone and shop for gorgeous Labradorite jewelry in many styles and fashions. Whether you are looking for necklaces, pendants, rings, earrings, bracelets or even loose stones for beadwork, hopefully you will find just what you are searching for here. 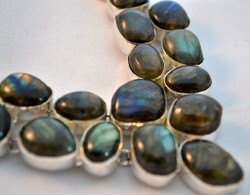 Image above: A labradorite and sterling silver necklace in my personal collection. Photograph by sockii. Labradorite Upright Stone by Joyoung Int. 20-24 oz. Labradorite is a feldspar mineral, primarily found on Paul's Island in Labrador, Canada. It may also be found in Norway, Finland, India, Madagascar and elsewhere throughout the world. 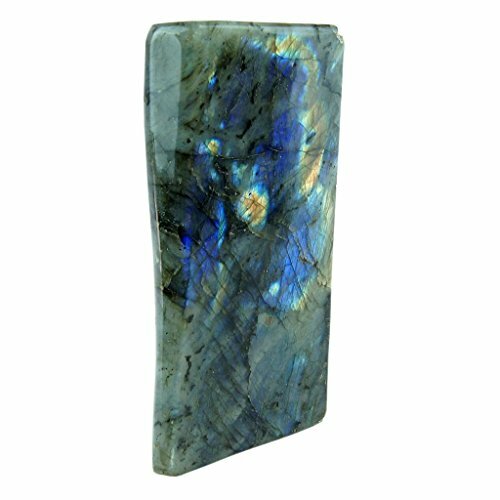 Although Labradorite initially appears grey and cloudy, catch the stone in the light and you will see its unique play of colors known specifically as labradorescence. 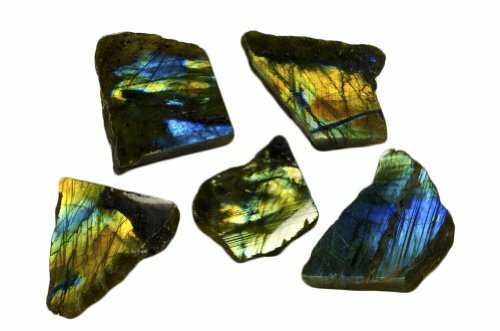 Individual pieces of Labradorite may give off beautiful color refractions from green to blue to gold to pink, making each piece of Labradorite entirely unique. 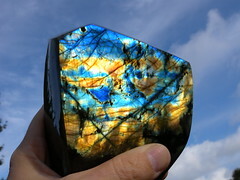 Obviously, the stronger the labradorescence, the more desirable and higher quality the Labradorite is for jewelry purposes. 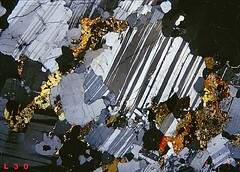 The highest gem-quality Labrodorite is also known as Spectrolite, sometimes also called Black Moonstone. 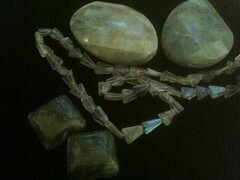 Labradorite in jewelry should be handled with care, as it can fracture and chip if subject to force or dropped. Because of Labradorite's colorful nature, it works well with many other different gemstones and materials in jewelry, depending on its colors and lights. Labradorite is frequently set in sterling silver and paired with freshwater pearls, moonstone, amethyst, turquoise and others in beadwork. Mystically, Labradorite is believed to relieve anxiety, hopelessness and depression. As a healing stone, it brings relief to bone issues, joints and disorders of the spine. It is also believed to help with eye and brain disorders. If the stone becomes cloudy after using or wearing for healing purposes, one should place the Labradorite out in the sunshine, in mineral water, for several days to re-energize and cleanse. Do you enjoy collecting stones and minerals for display? 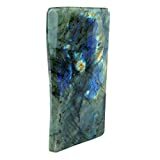 If so, JIC Gem on Amazon offers a variety of labradorite stones and slabs in sizes ranging from 16 - 20 ounces all the way up to 4.5 - 6 pounds! Of course each one will be unique, but with a cut flat surface on one side for easy showcasing. Polished, unique specimens such as these can be used and appreciated in many ways. Simply collect them and carry them with you, if you find stones useful in your meditation and spiritual practices. Or incorporate them into jewelry designs with wire-work, seed beeding or metal-smithing. Get lost in the color and mystery of a beautiful polished labradorite sphere. 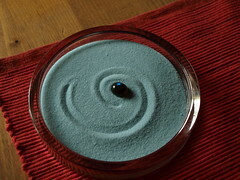 Perfect for collectors, those who use stones to meditate, or for other spiritual uses. Labradorite pendants are always a big hit. When I had my jewelry store business (and when I still work craft shows and vending events) they were always a top seller. A pendant can really show off the fire and color of a labradorite stone, without the distractions of other materials to get in the way. A single pendant can look striking against a black dress or sweater - one piece is all you need to make a great fashion statement that's timeless and eye-catching. Want to go bold? Then check out some of the fancy labradorite necklaces above. I have several pieces similar to this (see my introduction photo) and I love wearing them for special occasions. Again, one piece like this can make an entire simple outfit look stunning and unique. And every piece of jewelry will be different, as no two pieces of labradorite have the same color qualities and fire "lights". 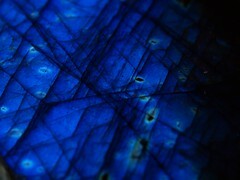 The photos above show off some of the striking "labradorescence" effect you'll find in top quality labradorite. The colors can range from deep blues to brilliant yellows, oranges and rosy pinks. Catching a piece of labradorite just right in the light can lead to amazing results! Labradorite is also very popular in ring designs for both men and women. Both intricate, vintage-style settings and smooth modern bands work well for showcasing a well-cut piece of labradorite. Labradorite bracelets come in lots of different styles and designs. It's frequently used in bead work, with delicate silver or gold spacers. Of you may find a silver-set design that would complement one of the pendants, neckalces or rings spotlighted above. Labradorite can work really well in lots of different beaded jewelry designs - like the piece of my own design and creation to the left. Labradorite combines well with any number of different gemstones and materials, including glass and crystals, freshwater pearls, onyx, hematite, garnet, moonstone, and quartz. One should pay attention to the delicacy of labradorite beads and stones, however; placing it near rough-surfaced spacers or sharp wirework can chip, damage or dull the stones. Both silver and gold metals can work well with labradorite, depending on the overall color and tone of the stones. I generally prefer silver, myself, but gold can work well with more yellow/earthtone-heavy pieces of labradorite. When buying labradorite for jewelry making, try to look for beads and strands with strong color and uniform size. You may need to buy several strands at once to find good matches for earring pairs or keeping a consistent color pattern...but that's half of the fun of working with labradorite! Prices can vary quite a deal based on quality, color, size and cut of the stones, so definitely shop around a bit before you buy. Is it real labradorite or not? 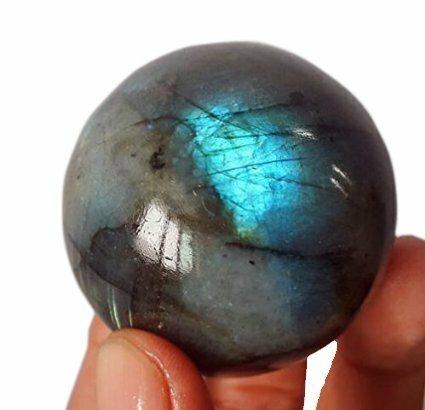 I have honestly not encountered much "fake" labradorite out there, as it is pretty much impossible to fake the labradorescence effect in other materials. Labradorite's similarity to rainbow moonstone can sometimes lead people to confuse the two, but side-by-side they are unmistakeable; labradorite's base color is greyish whereas rainbow moonstone is a milky white. 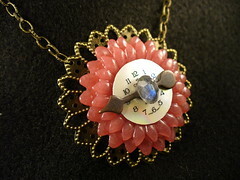 Shop for stunning unique jewelry and designs on Etsy. All handcrafted and one-of-a-kind! Shop for high quality loose Labradorite gemstones at wholesale prices. Shop for unique pendants, rings, bracelets and more. Sizes, shapes and colors may vary with handcrafted items. FireMountain is a long-standing and trusted source for jewelry-making supplies online. I love the idea of gemstone pendants. They're not usually used that way here. I go to various fairs and all they seem to have are necklaces, or stones for collecting.